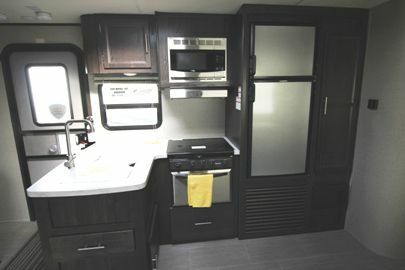 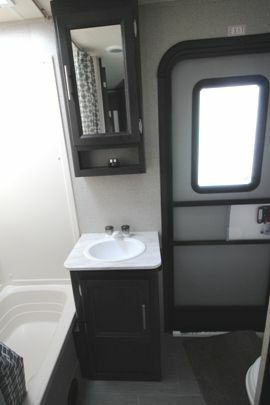 34' family fiberglass travel trailer with 2 slide outs, 2 entry doors and an outdoor kitchen. 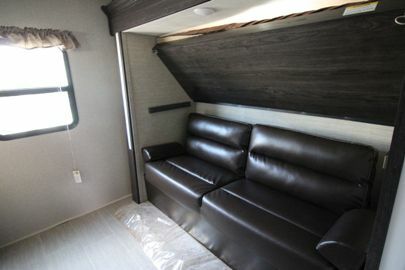 Has a shipping weight of 6700 lbs. 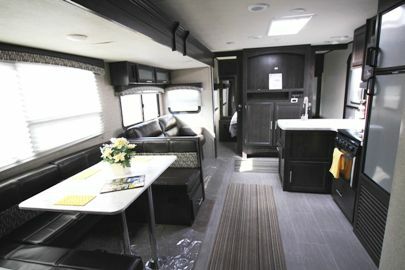 Manufactured by Dutchmen with a 3 year limited structural warranty. 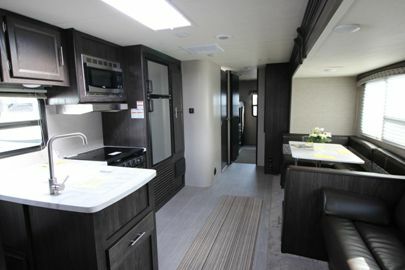 Comes loaded with many comforts and upgrades including electric awning, front cap with LED lights. 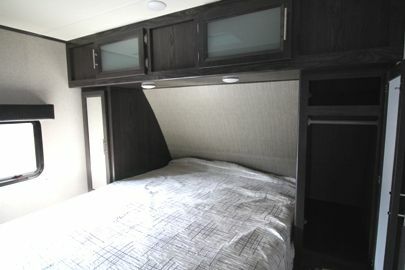 Sleeps 10 comfortably; queen island bed, dinette and sofa bed, 2 bunk beds and fold down sofa.